THE 2017 WAFL season finished in disappointing fashion for the South Fremantle Football Club. After finishing the regular season in second place for the second year running, the Bulldogs were one of the form teams heading into the finals and a favourite to make the grand final. Unfortunately they fell just short, knocked out by Subiaco in the preliminary final. 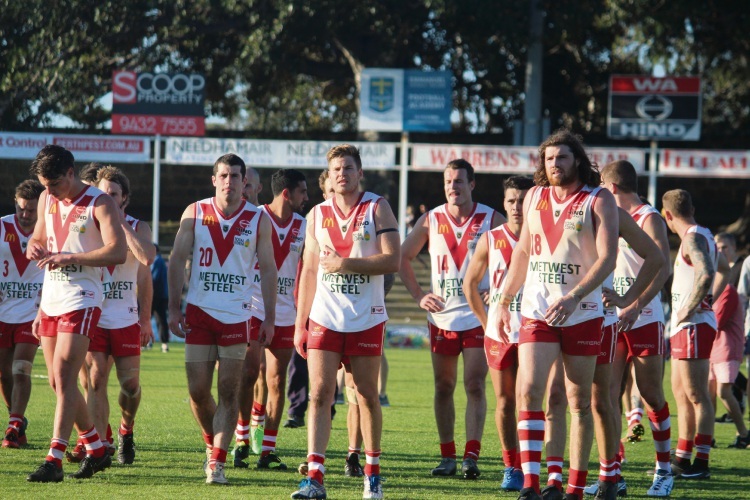 South Fremantle will be fighting to make 2018 its year. The new year brings a fresh face to the helm, with Dylan Main taking the captaincy from Ryan Cook, who stepped down from the role after six years. Former Fremantle Docker Nick Suban was a huge signing over the summer, but the Bulldogs will be feeling the loss of new Geelong recruit Tim Kelly through the midfield, as well as the retirement of defender Josh Pullman. Main admitted last year’s preliminary final loss had been hard on the group. “We felt we had so much more to give and played nowhere near our potential, which makes it hurt that little bit more,” he said. “We believed we had the right playing group that could have gone further, however it wasn’t meant to be and we now look forward to the upcoming season and what we can accomplish. “If we are to go further this year, we need to work on what’s hindered us in the past. He said the players were more mature and more capable of being a legitimate threat to the 2018 title. “After falling a game short the last couple of seasons, I feel the playing group has gained a lot of experience from those finals series and have learnt what is required to win them,” he said. With a bye round one, South Fremantle kicks off season 2018 at Fremantle Oval on April 7 against Subiaco. Rd 2: v Subiaco @ Fremantle Oval. April 7. Rd 3: v West Perth @ HBF Arena. April 15. Rd 4: v East Fremantle @ East Fremantle Oval. April 22. Rd 5: v Claremont @ Albany. April 28. Rd 6: v Swan Districts @ Fremantle Oval. May 5. Rd 7: v East Perth @ Leederville Oval. May 19. Rd 8: v Claremont @ Fremantle Oval. May 26. Rd 10: v Perth @ Lathlain Park. June 9. Rd 11: v Peel Thunder @ Fremantle Oval. June 16. Rd 13: v East Perth @ Fremantle Oval. June 30. Rd 14: v Claremont @ Fremantle Oval. July 7. Rd 15: v Subiaco @ Leederville Oval. July 14. Rd 16: v Peel Thunder @ Bendigo Bank Stadium. July 21. Rd 18: v West Perth @ Fremantle Oval. August 4. Rd 19: v Swan Districts @ Steel Blue Oval. August 11. Rd 20: v Perth @ Fremantle Oval. August 18. Rd 21: v East Fremantle @ East Fremantle Oval. August 25.